Great marketing is the soul of successful corporations. Without it, many companies would be gone with the wind, as exposure is key to building a brand. Awareness and persuasion is customary for a business to capture their target market. Growing a business comes down to the company’s ability to sell itself through different channels. As we shift into the technological era, marketing has become far more effective through significant advancements. Companies have strayed away from the old and often-ineffective tools of marketing such as flyers, door to door campaigns and newspaper ads. Instead technology-based techniques including TV broadcasts, online ads, pop-ups and the use of social media have been booming since 2007. Online-based marketing has been growing since the surge of the portable computers and mobile devices. Although, the average user spends more time surfing the net, rather than watching television, broadcast advertising was at an all-time high in 2011. The IAB reported that Internet ad revenue (42.1billion) had finally surpassed broadcast TV ads (40.1 billion) for the first time in 2012. Out with the old and in with the new, as many companies are shifting from outbound marketing strategies to new inbound marketing techniques, thereby aligning with the new digital age. Your goal, as a marketer is to attract the ideal cliental for the product/service provider. Establishing the perfect target market makes it easier to gain the trust and loyalty of consumers. Transforming the leads into consumers. Basically, turning potential into your cliental. Closing out sales and gaining support through purchases. Finally the last step is to turn happy and satisfied consumers into promoters. This is ideal for any marketing strategy. A word of mouth reference is far more conveying then any pop-up ads, as a live example is in front of them. Inbound marketing is by far a more effective marketing technique as the pros outweigh the cons. It earns the attention of the consumer and pulls people towards your company, rather than buying it through the use of traditional marketing forms. Furthermore, it is permission based; therefore, you are not being bombarded with spam email, flyers and radio commercials. It is more cost effective, as you are not wasting money on advertisements that are being ignored by the public. Once implemented, it has a long-term effect, as it builds a relationship with the consumer. 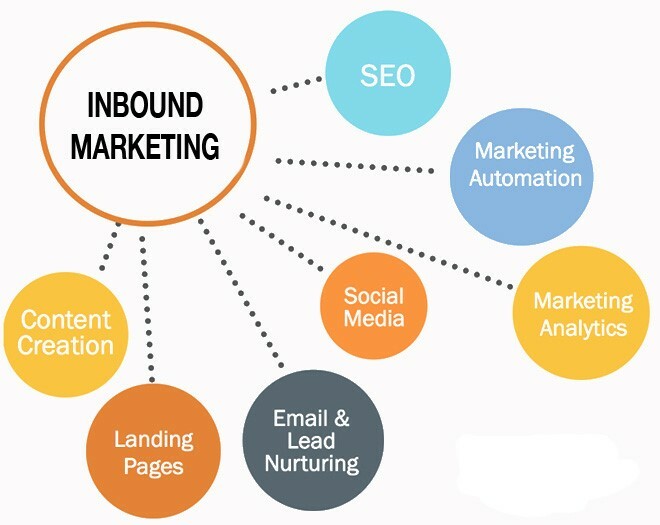 Statistically proven, according to Hubspot 49.7% of companies using inbound marketing increase sales within 7 months. With already 85% B2B companies employing an inbound strategy, most companies have already made the transfer and so should you.